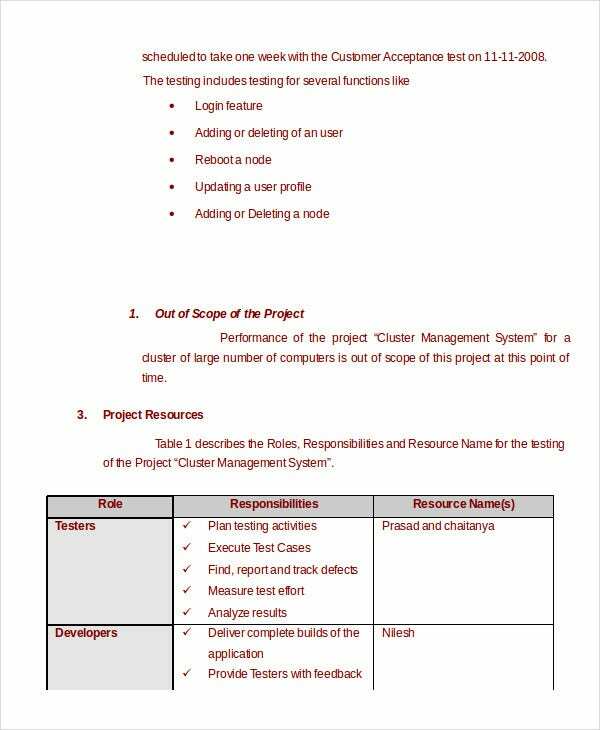 A Test Plan Template is much needed when you are about to test the usability of a software application. 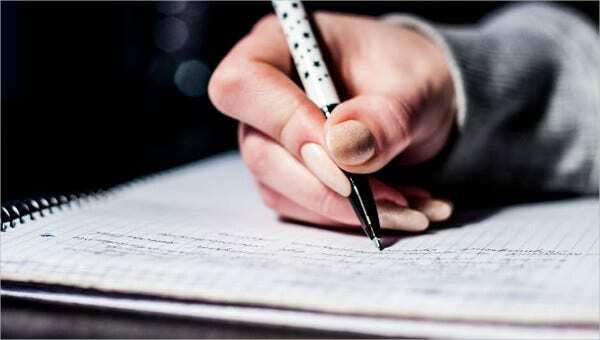 Like any major event, it’s better to proceed here with a planned approach and the test plan enables you to detail your whole plan in writing. This way, you will have a clear idea of the whole process, test approach or strategy, and methodology to be required for the testing. 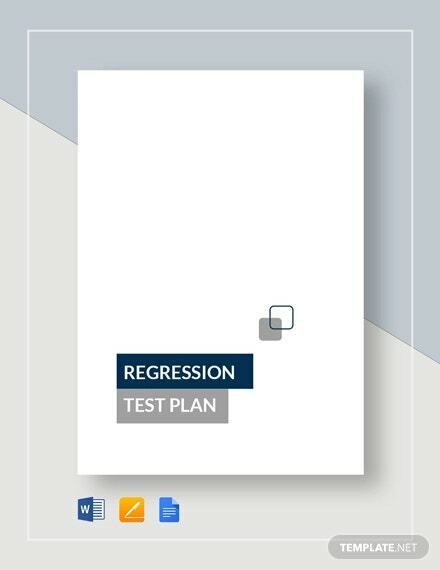 In short, the testing plan template will provide you the route to follow in the process. 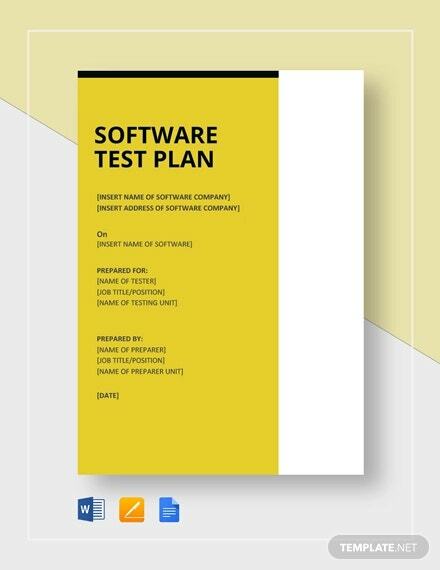 This professional software test plan template starts with a brief on the purpose and audience of the test plan and then it goes on to detail about the test approach and features to be tested. The graphical overview helps with an easy readability. 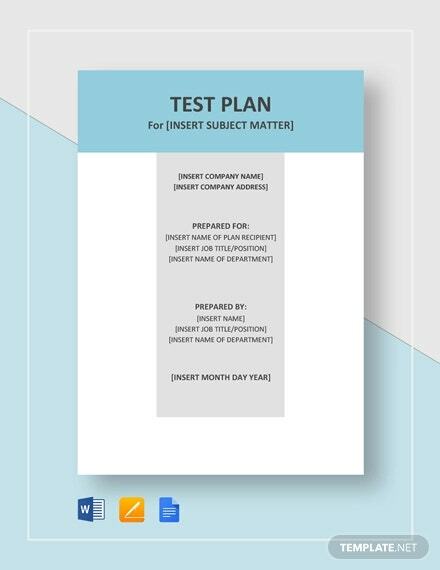 This master test plan template comes with all the important aspects to be included in a standard test plan like the test items, the features and functions to be tested, the test strategy to be taken and so on. 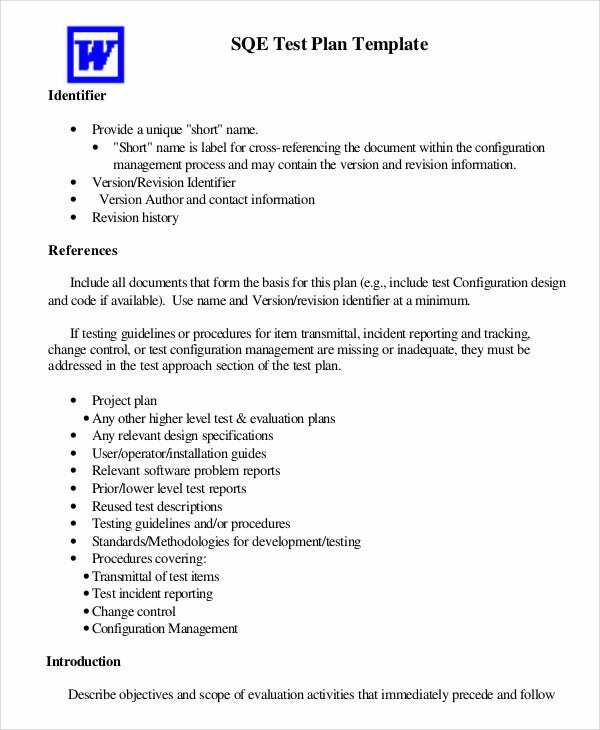 > What is the purpose of Test Plan Template? 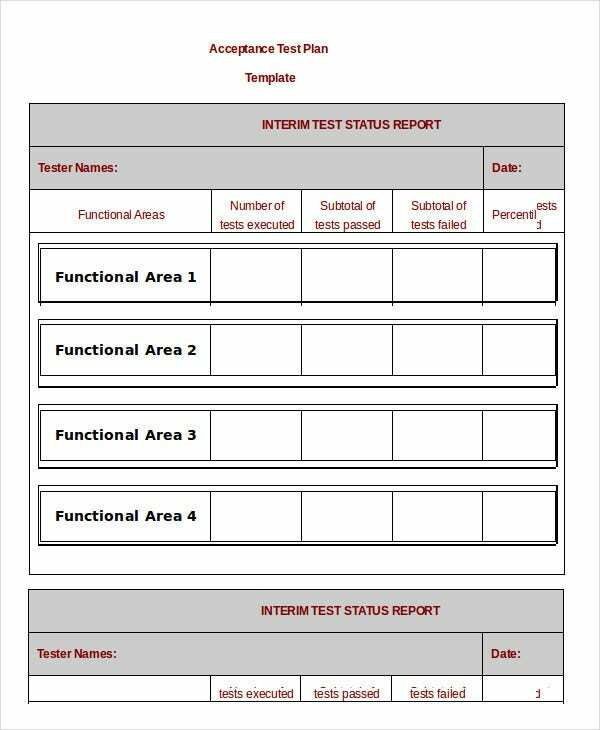 The main purpose of a test Plan Templates is to document the process and activities to be included in the testing phase. 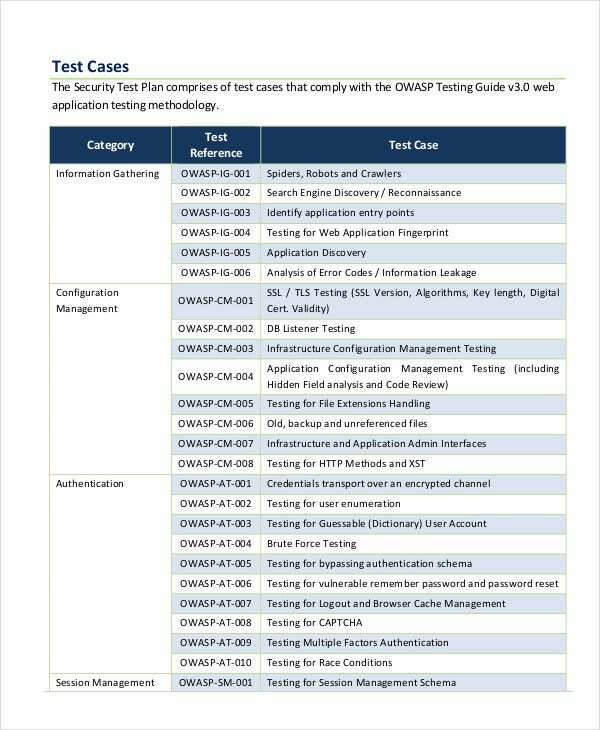 It offers a clean overview of the test approach to be taken for the specific project and then would go on to state the test methodologies to be used, the required resources or tools for testing, and also the estimated schedule of testing. 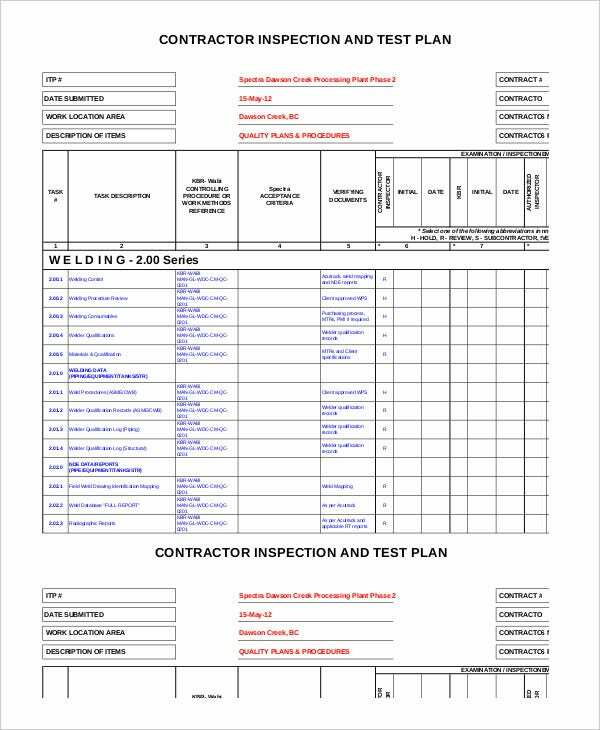 This way, the plan helps with a roadmap to be followed while taking up the testing activity. Testing a software is an elaborate affair and there are chances that you can get lost midway. But a test plan prevents that by showing you the way to be followed right from the start to the end. You have a comprehensive book on usability test plan here which includes all the relevant chapters for your convenience like methodology, goals, roles to be played by participants, usability tasks, problem severity, etc. 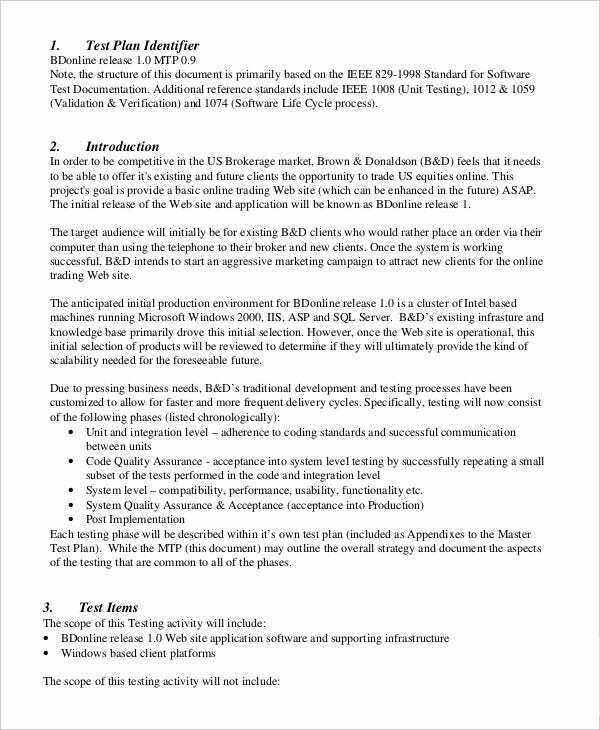 You have an elaborate test case template here which begins with preconditions for testing, followed by objective, scope, methodology, tools, deliverables, resources, test cases, rules of engagement in the test and so on. You can also see Printable Birth Plan Templates. 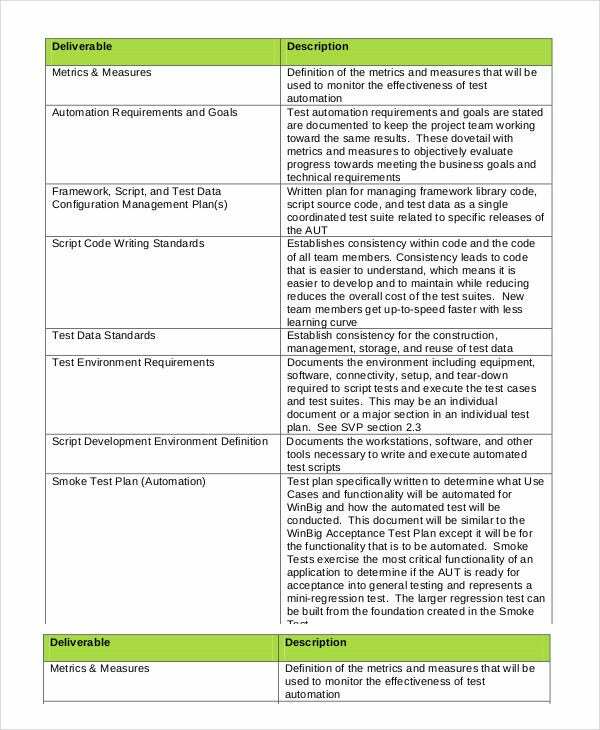 You have a detailed professional test strategy template here that embodies all the prime aspects of the testing like the objective, scope, framework standards and procedures, test scripts to be used, etc. 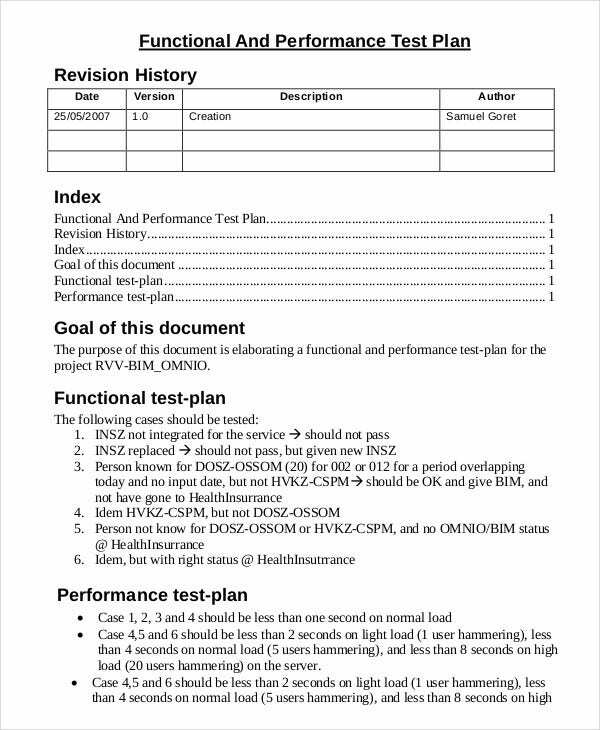 > What are the tips to create a Test Plan Template? 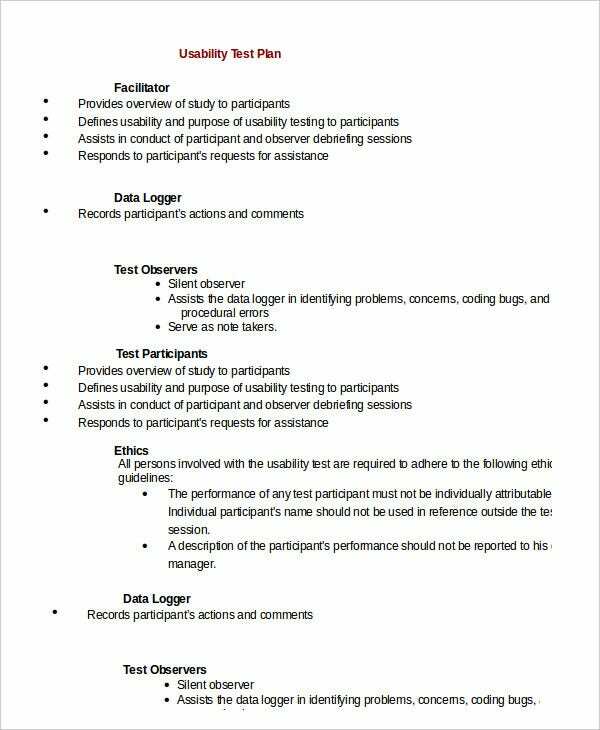 When you are about to create a test plan template, you must first start with a detailed analysis of the product to be tested. This will offer you a proper idea about its operational features and usability. Then, you will decide upon the scope to be tested as well as what testing approach and testing tools and methodologies you are going to involve in the testing phase. 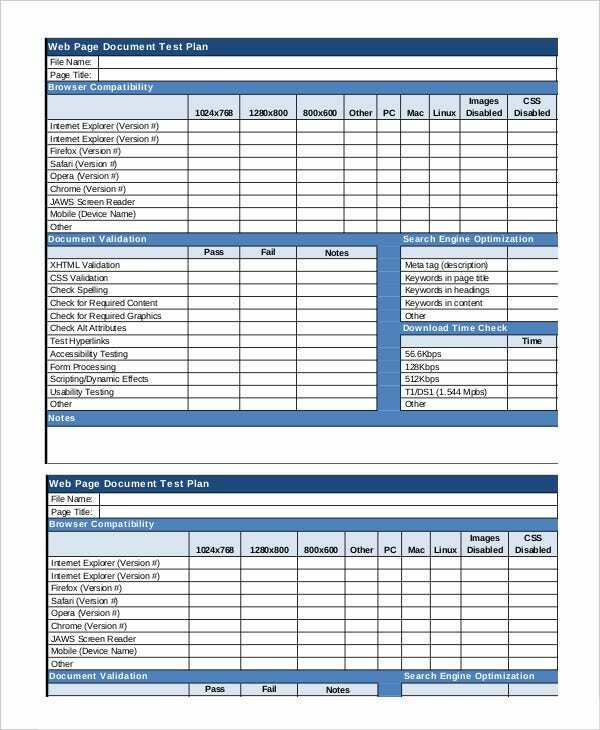 You can also see Lesson Plan Templates. 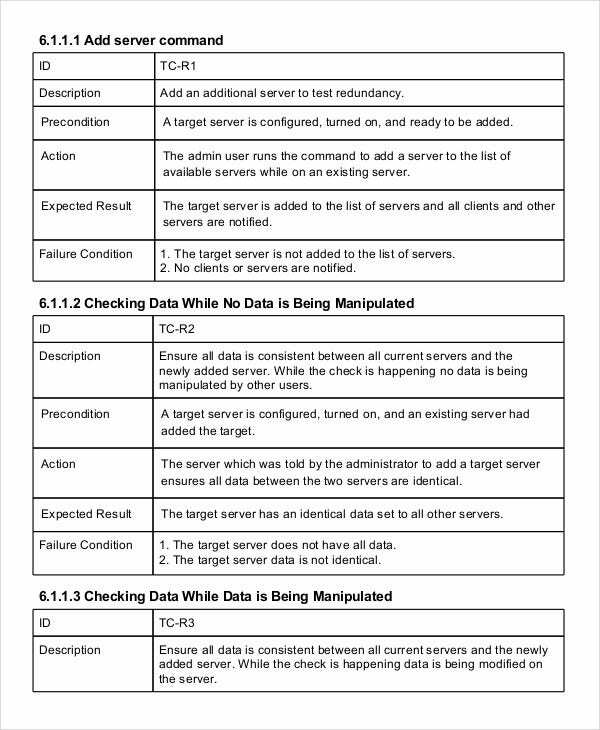 Besides, you would need to identify the testing type and think about the possible risks that might occur while taking the test procedure. Then, you must keep in mind the test schedule and estimated testing time while creating the test plan. Do you have to create a test plan and are looking for some expert guidance? 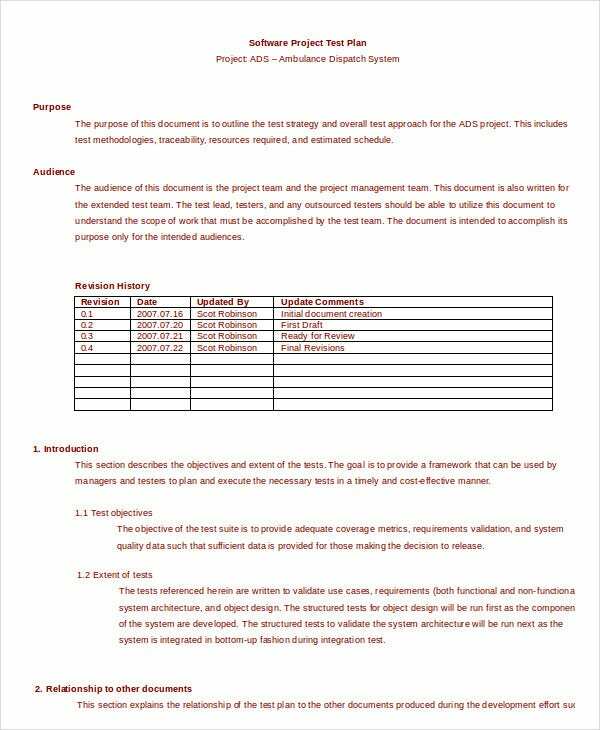 Well, the templates mentioned above are all that you need here since they offer you a readymade format of a number of test plans- so that you can understand what exactly you need to include in your own test plan.